“Death Wish” is a genuine curiosity; a terrible movie which prompted a great deal of useful, spirited and intelligent sociopolitical discussion. The theme of the film is justice, or rather the lack of it, and the rise of vigilantism as a curative. Based on a novel by Brian Garfield, the film betrays the depth of it’s thematic implications by aiming at the sewer; a not uncommon affliction of the cinematic output of the ironically named Michael Winner. The novel’s theme is equally concerned with the lack of justice for victims of crime, but in its literary incarnation the story unfolds as a disturbing portrait of psychological implosion of an otherwise decent but inconsolably traumatized man that comes when suffering an existential injustice. The film jettisons all but the basic structure of the novel in that the psychic ramifications of the central character become less-than-secondary to the exploitation of violence used to crassly manipulate the audience into a frenzy: a blatant campaign favorable to the use of vigilantism which is the antithesis of the source novel’s intention. Charles Bronson, an actor capable of surprising and underused resources, was forever typecast as an unstoppable man of action, especially in the seemingly endless, putrid clones of this unexpected box-office hit. 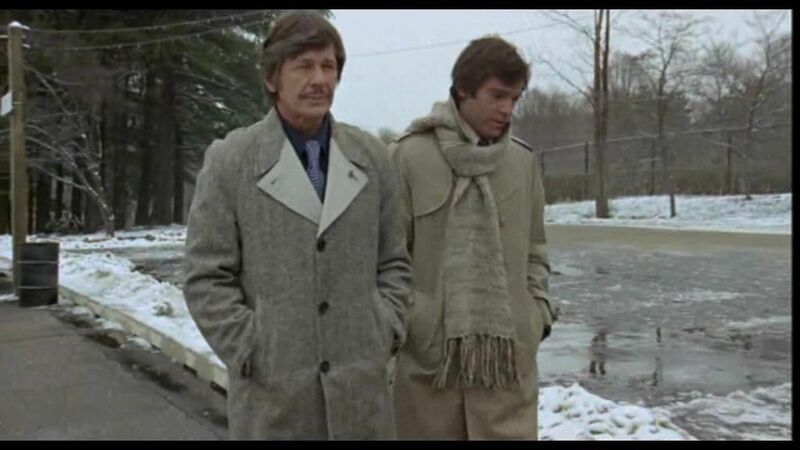 This entry was posted in 1970's cinema, Charles Bronson, cinema, Culture, Drive-In Movies, Entertainment, Film Reviews, Films, movie reviews, Movies and tagged 1970's films, cinema, drive-in movies, Entertainment, film, film reviews, movie reviews, Movies. Bookmark the permalink.